I think many of us are still coming to grips with the tragic events that took place in Christchurch last Friday. As we reflect on what happened to part of our New Zealand community, we send our thoughts to all of those directly affected by the tragedy. If wanting in some small way to help those directly impacted, you can still donate directly to the official victim support page here. All donations received (and of last night, over NZ$7.5 million had been pledged) will be used to provide support and resources for the people affected by the Christchurch shootings and their families. It’s been a pretty tough week. On top of the events that unfolded in Christchurch, a well-known and well-respected part of our Australasian wood products industry, Wayne Miller, also unexpectantly passed away whilst on holiday in the South Island last weekend. There wouldn’t be many readers who hadn’t worked with, sought advice from or had been helped by Wayne over the years. 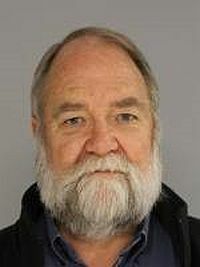 A world leading wood drying and wood quality researcher, involved in shaping wood standards and certification, a clear pine enthusiast who was successful helping open up the USA market for NZ clear pine and more recently, working as the Technical Development Manager with Tenon Clearwood in Taupo, New Zealand. Our thoughts go out to his wife, his family, friends and work colleagues. A small obituary from some of work colleagues is included in the story below. Early indications are that the New Zealand Government’s goal to plant one billion trees over the next decade will be slow to get going – well at least when it comes to commercial forest plantation species. The latest MPI survey of tree stock sales from commercial forestry nurseries indicates that 57,000ha of commercial plantation forests were planted last year. However, only 9,100ha was new planting. It’s certainly better than 2017 but obviously, it’s not a key focus for the NZ Government in meeting its ambitious target. That’s where native trees kick in. Much of the focus for the afforestation grants on offer as well as new plantings are being put into native species (compare this to Australia’s planting target of a billion trees over the next decade with the focus on plantation trees - and growing the size of Australia’s plantation estate). For your own information you might want to check out the Te Uru Rākau (Forestry New Zealand) website. There appears to be a running total being kept of the trees planted since the one billion trees programme in New Zealand was announced. Apparently, as of Monday this week, an estimated 60, 871, 000 trees have been planted. And finally, with Saturday’s NSW State election looming, the Australian Labor party has come out this week stating that if elected that they plan on establishing a Great Koala National Park on the mid-north coast. 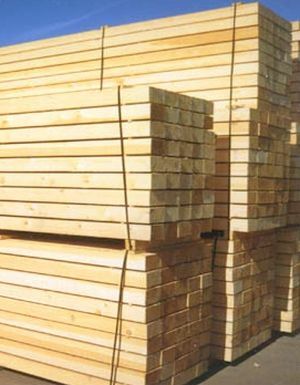 The timber industry has slammed the announcement. Using new analyses from Ernst and Young, the proposed park could cost AU$1billion, slash almost 2,000 jobs and end the timber industry on the north coast. Details and comments are contained in two stories contained in this week’s issue. Enjoy this week’s read. Each spring New Zealand’s Ministry for Primary Industries (MPI) undertakes a survey of tree stock sales from commercial forestry nurseries. The results are aggregated to produce estimates of total national sales, and then modelled to estimate the area of planting by species, species groups, and total area. 1. Tree stock sales reported in 2018 totalled 59.9 million seedlings, compared to 51.3 million sold in 2017. 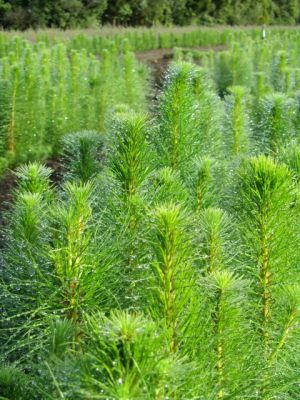 The main increase was in radiata pine where sales rose by 8.6 million seedlings (18%). 2. The total area of forest planting in the winter of 2018 is provisionally estimated from the nursery survey data and associated modelling to be 57 000 hectares. 3. The total area of new planting in 2018 is estimated to be in the order of 9 100 hectares. A survey of large-scale forest owners and managers/consultants indicates they established new plantings of about 6 900 hectares. 4. Replanting of harvested areas is provisionally estimated to be 47 900 hectares in 2018. 5. It is estimated that 7.1 million manuka seedlings were sold and about 4 600 hectares were planted, mostly for the honey industry, some for revegetation and some for research on mānuka oil production. An Australian Labor party plan to save declining koala populations could cost AU$1billion and slash almost 2000 jobs, according to a new analysis. NSW Labor has committed to establish a Great Koala National Park on the mid-north coast, if elected in Saturday's state election, to protect one of the nation's most famous marsupials. But according to Ernst and Young research, commissioned by the Australian Forest Products Association, the koala site would kill the local logging industry, the Daily Telegraph reported. The analysis found the plan to save koalas would tally a loss of AU$757million in output and another AU$292million in 'value add'. The plan would also see 1871 jobs in NSW slashed, according to the research based on a site at Coffs Harbor which was proposed by conservationists. The site extends from the Tweed to the Central Coast and covers a large area of forestry. Labor has not unveiled the exact site yet but parliamentary budget costings said the party planned to build the park in the Port Macquarie and Coffs Harbor-Grafton regions. Further comment from AFPA and Timber NSW on this week’s announcement can be found in the associated story. 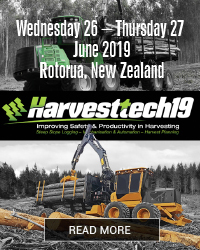 In addition to the very latest in harvesting technology, new innovations and new operating practices that are making such a huge difference to New Zealand, Australian and North American harvesting contractors, an extra bonus for harvesting crews, harvest planners and forest managers has been added to the HarvestTECH 2019 event running in Rotorua on 26-27 June. The logging historian, Paul Mahoney, now working as the Manager National Heritage with the Department of Conservation has been built into the programme. A couple of years ago when the event last ran, HarvestTECH 2017 delegates asked us to bring back that story teller with that amazing footage along with the tales and anecdotes he spun of early harvesting operations around New Zealand. We've done just that. Titled “Sawdust and Sweat – Technology from Days gone by, delegates are going to get an entertaining pictorial walk-through, based on nearly two decades of gathering information and rare footage and talking to the early bushmen and sawmillers, of early NZ logging operations. They were all involved in toiling tirelessly in the back blocks meeting the ever-increasing local need for construction timber from the country’s native forests. NZ’s forest industry has a very colourful past well worth preserving. In the indigenous forestry era, huge trees were harvested using primitive machines along with plenty of muscle and sweat. The workers of that era were very proud of their calling and the skills they developed. The plantation forestry era from ~1900 saw NZ become a global innovator in sustainable forestry. In 1965 Paul Mahoney stated to interview 350 old bushmen and collect their stories and photos. He has enjoyed packaging the best of these recollections as entertaining public presentations. Paul Mahoney has for decades collected NZ forest industry history, especially interesting stories and images. This has been as a personal interest hobby and also as part of his heritage job with the Department of Conservation. Paul’s book on bush tramways quickly sold out and he has presented many talks at forest industry events. He has recently consulted overseas with UNESCO on three potential forest industry World Heritage Sites. Registrations to the two-yearly harvesting gathering in Rotorua on 26-27 June are flowing in. 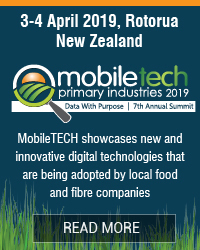 Details on the event, programme and registrations can be found on the event website, www.harvesttech.events. Both previous events, 2017 and 2015 sold out so best look to register early if you are looking to secure a space for you and your crew. Wayne Miller: A leader in the Wood Processing and Manufacturing Industry. As many of you may already know, Wayne Miller died suddenly last Saturday (16 March) whilst on a holiday in the South Island. We send our deepest sympathies to his family and friends. Wayne was a leader and figurehead for the wood processing and manufacturing industries. He combined a rich background in research and development with a flair and passion for marketing his beloved high value wood products, especially Clearwood. After graduating from University of Canterbury with an Engineering degree, Wayne joined the Forest Research Institute in the Wood Drying field, where he became Research Field Leader. This was during a time where he and the team of Tony Haslett, Steve Riley, Nick Ward, Ian Simpson and others drastically changed the face of the wood processing industry, introducing, among other things Very High Temperature Drying and developing kiln control software which is still highly utilised in the industry. Wayne left FRI to join the NZ Forestry Corporation, and his passion was manufacturing and marketing high value Clearwood. This continued when the Central North Island Forestry Partnership bought the NZ Forestry Corporation, and Wayne went to work for Fletcher Challenge Forests. Here he worked in North American Consumer Solutions, and helped to develop the market for clear radiata in USA. He thus worked closely with the FCF mill at Taupo, and when FCF sold the mill, Wayne went to work at Tenon Ltd, and then for Tenon Clearwood Ltd.
Wayne was a force in the industry and worked closely with many of us. He was President and an Executive Council member of Pine Manufacturers Association for a number of years. He was a driving force in Solid Wood Innovation (Inc), and worked with WPMA on forest and timber product certification, the Environmental Product Declaration Project, the effect of reductions in forest pruning regimes on the viability of Clearwood manufacturing operations and the resultant loss of value to New Zealand and in particular the communities who make that high value product possible. Wayne was a leader, a colleague, a workmate and a great guy. Not only will his intellectual rigour, innovative sense and vast experience be sorely missed. Wayne’s ever openness to collaboration and sharing, his willingness to bounce ideas either way and his outright decency will be sorely missed by all of us. His passing leaves a large gap not only in our collective capability but in our hearts. The Funeral Service for Wayne will be held at Osbornes Funeral Directors Chapel, 197 Old Taupo Road, Rotorua on Saturday, the 23rd of March at 11am. Vale Wayne! Forest and Wood Products Australia (FWPA) will be working in partnership with the Australian Government to deliver two new innovative education initiatives valued at AU$200,000. Announced yesterday on International Day of Forests, the initiatives are focused on giving young people the education and resources to innovate and grow the Australian forestry industry into the future. They include a virtual reality project to teach young people on the renewable forestry story and a university competition to encourage research into novel uses of wood fibres. FWPA’s Managing Director, Ric Sinclair, said the initiatives will help young people to positively contribute to the forestry industry. “The future of forestry is in young people’s hands. FWPA is incredibly pleased with Government’s support of the ForestVR project and National University Challenge, and the government’s investment in young people to make an active contribution to the industry. A strong forestry industry creates strong economic opportunities for Australia. With programs like these, we can attract the brightest up-and-coming minds to be part of it. “These two new projects are a win-win for education and industry,” Sinclair said. The ForestVR project is an initiative of ForestLearning, FWPA’s program aimed at teachers and students, and will see four virtual reality tours executed in forestry hubs in North/North West Tasmania, South West Western Australia, the Green Triangle and North East New South Wales. The project will also be supported by curriculum resources for the classroom. FWPA’s Program Manager for ForestLearning, Beth Welden, said virtual reality provides new and engaging opportunities to teach students how forests thrive and renew. “Virtual reality is an exciting way to give students immersive learning experiences that previously has not been possible. Students will be able to experience the renewable forest and wood cycle up close and personal without ever leaving the classroom. We believe the ForestVR project is at the cutting-edge of education and has the potential to shape future education programs,” said Welden. The National University Challenge will encourage postgraduate students and young researchers to enter a competition for the most novel (but practical) concept for the application of wood fibre, with funds awarded to see the winning concept become a prototype. FWPA’s Research and Development Manager, Chris Lafferty, said the competition aims to overcome the challenge within R&D where “blue sky” ideas from up-and-coming scientists find it difficult to attract grants. “We see many research scientists with big ideas but small funds. The National University Challenge will help winning ideas get closer to reality. The interest in using wood fibre for innovative uses is growing worldwide. We are seeing research showing that fibre could replace non-sustainable and non-renewable materials, potentially benefiting both the industry and the environment,” said Lafferty. FWPA is committed to collaborating with government and industry stakeholders to grow the market for forest and wood products, increase productivity and profitability across the value chain and ensure positive environmental and social outcomes. Read Assistant Minister for Agriculture and Water Resources, Senator Richard Colbeck’s media release: Growing forestry education on International Day of Forests. More information on the UN International Day of Forests. Only one week to go now to get your award nominations in for those involved in training, in growing, processing and transporting wood and for those who support the industry in the lower South Island of New Zealand. 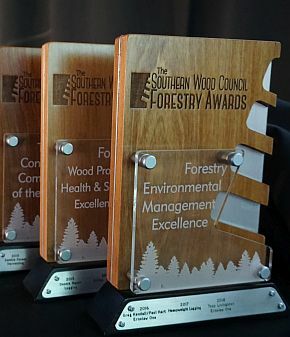 On Friday 24 May, the Southern Wood Council (SWC) in conjunction with New Zealand’s Industry Training Organisation, Competenz, will be running their annual forestry awards programme in Dunedin. For previous awards evening’s, over 350 people have attended the evening. It continues to be the largest industry gathering seen each year within the region. For the forestry industry in Otago and Southland, the Awards Programme provides a unique opportunity for those involved in training, in growing, processing and transporting wood and for those who support the industry through the provision of products and services to come together and to celebrate success. It’s the industry’s chance to recognise those who have achieved formal training qualifications over the year, to celebrate through a series of nine major industry awards, the top performers from across the lower South Island and to profile the real contribution that forestry and those working within the industry are making to the economic and social well-being of the region. For those in the South, mark the dates into your diary. Nominations close on Friday 29 March 2019. If working in the region and you’re not already working on a nomination, best get onto it. You've got JUST ONE week to go. Start working – if you aren’t already – on who you can nominate in your or someone else’s company or crew. Who’s made a difference? Who’s really stood out this year? Who deserves to be recognised for their efforts? Further details can be found on the SWC website . Carlton School students now know what it's like to be in the driver's seat of a logging truck and what they can do to help with road safety. 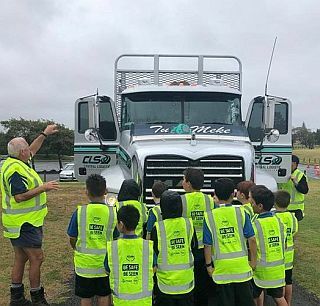 McCarthy Transport, FOMS and the Southern North Island Wood Council, led by McCarthy's Wanganui Transport Hub manager Greg Wood, spent Friday, March 8 talking to Carlton School pupils about the Share The Road programme. Developed by New Zealand’s Log Transport Safety Council (LTSC), Share The Road is a programme to educate students in schools that are located on or near routes that logging trucks travel. Carlton School is on Carlton Ave, which is part of State Highway 3. "It was a great opportunity to present to the 280 students," McCarthy Transport's HSQE manager Cheryl van der Heyden said. "After an assembly presentation in the hall, log trucks from McCarthy Transport and Central Logistics' Services were taken to Springvale Park so that the students could understand the blind spots the vehicle has, what the driver can see or not see from his/her driving seat, along with vehicle stopping distances. "Despite the weather, the rain didn't dampen the excitement of the students who had the opportunity to see first-hand what it is like being in the driver's seat of a log truck. As the Share The Road programme encourages students walking or riding bikes to school to wear bright clothing to make sure that the drivers of vehicles know they are there, each of the 280 Carlton School students were issued with their own Be Safe, Be Seen high-viz vest." Photo: McCarthy Transport driver trainer Kev Carr talks to a group of Carlton School students. 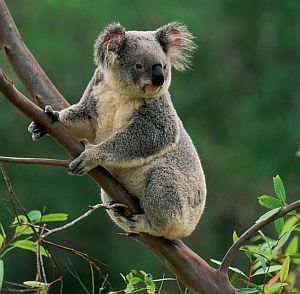 The Australian Forest Products Association and Timber NSW representing NSW’s timber and forest products industries have slammed NSW Labor’s recommitment to lock up large swathes of sustainably managed production forest under the guise of the Great Koala National Park, with no evidence that it will lead to better conservation outcomes for koalas. Timber NSW General Manager Maree McCaskill and Australian Forest Products Association Chief Executive Officer Ross Hampton said the Great Koala National Park – as proposed by environmental activist groups – will do nothing to protect koalas but will destroy the North Coast’s vital forest industries which employ around 2000 people and contribute hundreds of millions of dollars to the region’s economy. “The science is clear that forestry is not a threat to the koala’s survival – in fact, koalas are thriving in our sustainably managed native forests,” Mr Hampton said. “If NSW Labor is interested in protecting NSW’s koala population, as we are, then they will direct their efforts at the things that have been proven to make a difference such as better management of urban expansion, pest and disease, and road strikes,” Mr Hampton concluded. 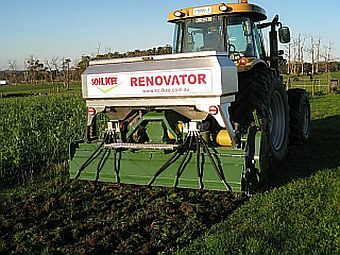 The first soil carbon credits in Australia were issued by the Clean Energy Regulator this week to Corporate Carbon for their Grounds Keeping Carbon Project on a farm in Hallora, Victoria which used an invention developed in the Gippsland Region called Soilkee Renovator and mulcher. Soilkee combines cultivation, mulching, aeration and mixed species seeding to improve grazing systems and build soil carbon effectively. "Biochar would work very well in this system" said inventor Neils Olsen. Given the World's oldest scientific biochar field trial at the NSW DPI Wollongbar site on the Far North Coast of N.S.W. has shown "field-aged biochar enhanced the belowground recovery of new root-derived C (13C) by 20%" (Van Zwieten et al, 2017), farmers that use biochar made to IBI standards should seriously consider registering a project under the Sequestering carbon in soils in grazing systems method of ERF. "These soil carbon credits actually count towards our Paris targets" say Matthew Warnken, Managing Director of Agriprove. Doug Pow, an innovative farmer from Manjimup, Western Australia had an "aha moment" when he was trying to figure out the simplest way to apply biochar to his soil, then it came to him, "we have cows and dung beetles that bury fertiliser all over our farm, I wonder if cows and dung bettles would eat biochar?" Doug said to himself. They did and a paper tabling results was published titled "Feeding Biochar to Cows: An Innovative Solution for Improving Soil Fertility and Farm Productivity" by Joseph et al, 2015. As Regenerative Agriculture, Reforestation and Pyrogenic Carbon Capture & Storage (PyCSS) producing biochar are now being touted as negative emissions technologies (NET's) by the United Nations Environmental Programme (UNEP), this means both the Soilkee & biochar for animal health methods could deliver more soil carbon credits to Australian farmers. CSIRO's Data61 has announced the opening of its new Robotics Innovation Centre in Queensland, a purpose-built research facility for robotics and autonomous systems, an industry set to be worth AU$23 billion by 2025. Data61 is one of the global leaders in the field, with capabilities ranging from legged robots and 3D mapping through to unmanned aerial vehicles (UAVs) and unmanned ground vehicles (UGVs). Fred Pauling, Robotics and Autonomous Systems group leader at CSIRO's Data61 said the 600-square-metre facility would enhance the group's world-class research capabilities. "The new centre expands our research infrastructure to develop highly autonomous robotics systems that can interact safely and seamlessly with humans and other dynamic agents, in challenging indoor and outdoor environments," Mr Pauling said. 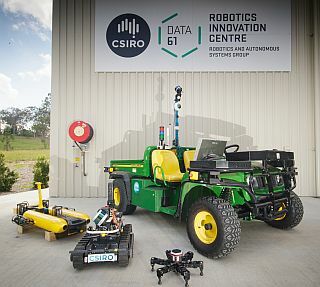 Adrian Turner, CEO at CSIRO's Data61, said the centre is a national asset that combines internationally recognised robotics and machine learning research with deep domain expertise from CSIRO providing unique collaboration opportunities for industry, government and academia. "Robotics and autonomous systems technologies, underpinned by machine learning and artificial intelligence, will unlock new value in all manner of sectors including manufacturing, agriculture, healthcare and mining," Mr Turner said. "By creating a cohesive approach to robotics R&D through closer collaboration, supported by world-class facilities like the Robotics Innovation Centre, we can ensure Australia is well placed to benefit from Industry 4.0 and help to protect and accelerate our nation's ongoing economic success." Data61 led the formation of the Sixth Wave Alliance last year, a network which seeks to integrate key robotics research organisations and industry partners in Australia to enable a higher level of R&D collaboration. Dr Sue Keay was recently appointed to lead Data61's cyber-physical systems research program, drawing on her experience in developing Australia's first Robotics Roadmap while at QUT's Australian Centre for Robotic Vision. Data61's robotics infrastructure is open for industry use and collaborative projects. This includes dedicated mechanical and electronics engineering laboratories, several high-end rapid prototyping machines, large sheds for indoors systems testing, an open-air UAV flying area and outdoor testing areas including a forest and creek. A pilot will see release to work prisoners training and working in the forestry sector as part of New Zealand’s One Billion Trees Programme, Forestry Minister Shane Jones and Corrections Minister Kelvin Davis have announced. The pilot – jointly developed by Te Uru Rākau and the Department of Corrections - will involve up to 15 prisoners from the Northland Regional Corrections Facility employed to plant seedlings as part of the 2019 season. The pilot will be located in Northland with Crown Forestry joint ventures needing planters in this area for the upcoming season. Kelvin Davis says this pilot expands on the successful release to work programme already in place in New Zealand prisons. “A good proportion of people in New Zealand prisons participate in employment or industry training. This is a great opportunity to expand our release to work programmes while also supporting regional employment opportunities and helping to reach the government’s goal of planting one billion trees by 2028,” Kelvin Davis said. An Irish man walks into a pub. The bartender asks him, "what'll you have?" The bartender says, "Sir, I know you like them cold. You don't have to order three at a time. I can keep an eye on it and when you get low, I'll bring you a fresh cold one." The man says, "You don't understand. I have two brothers, one in Australia and one in the States. We made a vow to each other that every Saturday night we'd still drink together. So right now, my brothers have three Guinness Stouts too, and we're drinking together. The bartender thought that was a wonderful tradition. Every week the man came in and ordered three beers. Then one week he came in and ordered only two. He drank them and then ordered two more. The bartender said to him, “I know what your tradition is, and I'd just like to say that I'm sorry that one of your brothers died." The man said, "Oh, me brothers are fine----I just quit drinking."